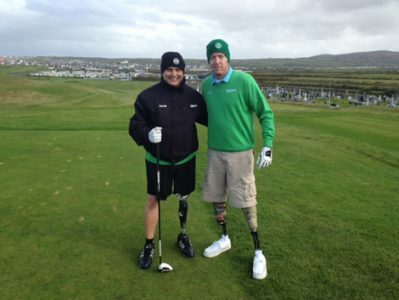 SWING Courses Waterville, Tralee and Ballybunion played host to over 20 US Veterans, family and carers who are recovering from traumatic injuries suffered in the US Wars overseas. Along with SWING courses the party are playing other courses in Ireland. 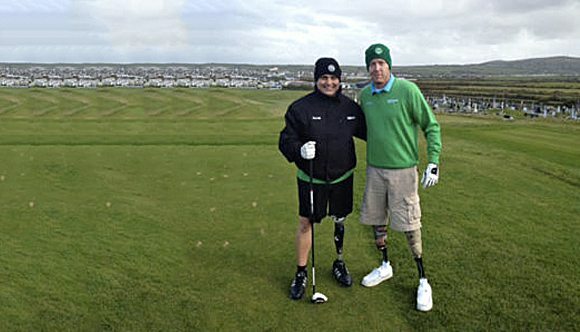 The event, sponsored mainly by Failte Ireland and the accommodations/golf courses is being filmed by Golfing World TV and American TV Peter Kessler is doing a documentary on the trip. Jay Connolly of Waterville Golf Links and SWING Director, who is a Vietnam helicopter pilot, wrote personal letters to the troops as he was unable to meet them personally due to illness. The whole event which was organised by Golf Digest Ireland has created great interest in both the US and Ireland.